Could one from our list be your next company car? If you travel a great deal of miles each year and you pay for your own fuel, you’ll need a company car which can save you money at the pumps as well as offering low CO2 emissions to keep your monthly tax bills in check. We’ve done the research for you to find out which diesel mid-sized hatchbacks will cost you less than £60 a month, have CO2 emissions below 100g/km and offer over 80mpg combined fuel economy. 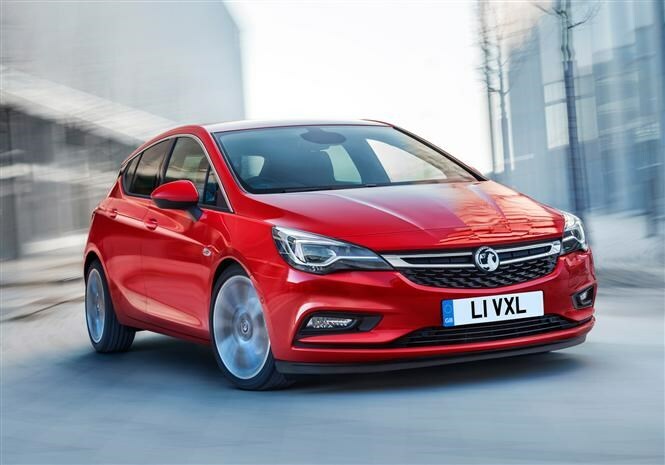 The seventh generation Vauxhall Astra is due in showrooms in October 2015 and although we’re unsure exactly how much it’s going to cost you at the moment, Vauxhall has announced that prices will fall between £150 to £1,960 depending on the model you choose. A revised version of the firm's 'Whisper' diesel engine also promises impressive running cost figures of 91mpg combined and just 82g/km of CO2. Available in five trims, it’s the company car driver-focused TechLine specification that’ll be the ideal choice here with sat-nav, cruise control, 16-inch alloy wheels, LED day running lights, a seven-inch colour touchscreen, Bluetooth, DAB radio and air-con all included as standard. 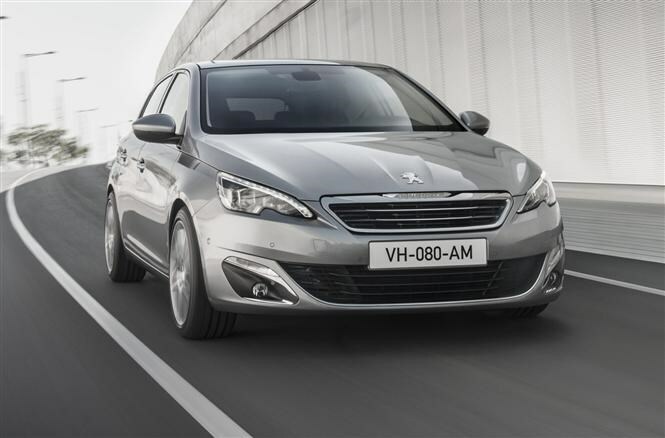 It may not have the most desirable badge, but the Peugeot 308 offers some impressive running cost figures, excellent value for money and a refined and uncluttered interior making it one of the best all-round packages in this segment. We'd pick the 1.6-litre diesel which has 118bhp and 300Nm of torque available and can complete the 0-62mph sprint in just 9.4 seconds which is very good considering the 88mpg official combined fuel economy figure. Mid-range Active trim offers you plenty of kit for the price too with features like rear parking sensors, sat-nav, cruise control and Bluetooth all included as standard. When it comes to fuel economy the BlueMotion hatchback is the best of the ever-expanding VW Golf family (ignoring hybrid and electric models) with an official consumption figure of 88.3mpg. Plus with CO2 emissions of just 85g/km, BlueMotion models mean low tax bills too. It’s a hugely popular company car choice here in the UK and performance, although not the best the range has to offer, isn’t compromised too much either with 108bhp available and 250Nm of torque enabling the car to accelerate from 0-62mph in 10.5 seconds. 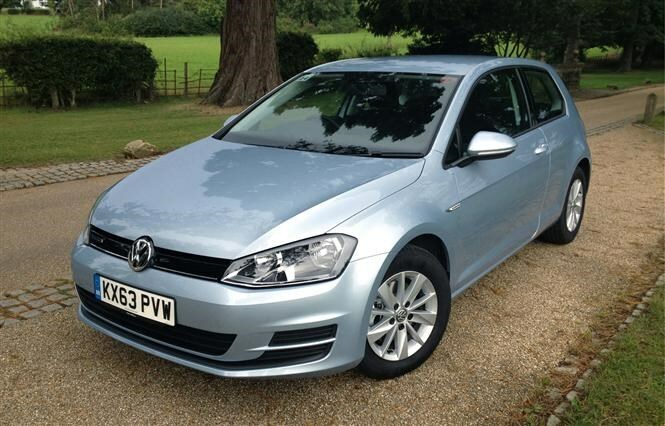 Bluemotion models get 15-inch alloy wheels, air-con, DAB radio, cruise control, Bluetooth and electric windows as standard – so you may need to explore the options list to gain kit like sat-nav and parking sensors. 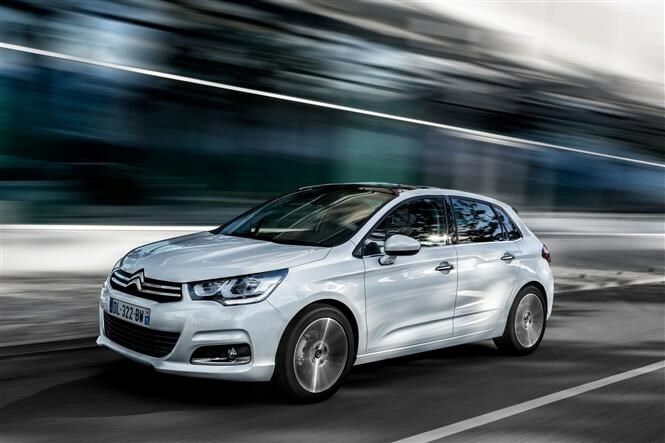 The Citroen C4 has just received a mid-life facelift and with it brought a spruced up interior, the latest gagetry and a revised engine line up. Although it doesn’t offer the greatest performance in our list with 98bhp and 254Nm of torque, running costs are good with a combined fuel economy of 85mpg and CO2 emissions down at 86g/km. We would pick the C4 in mid-range Feel trim which includes cruise control, air-con, Bluetooth and 16-inch alloy wheels as standard. When it comes to luxurious interiors there are few which can compete with Audi. 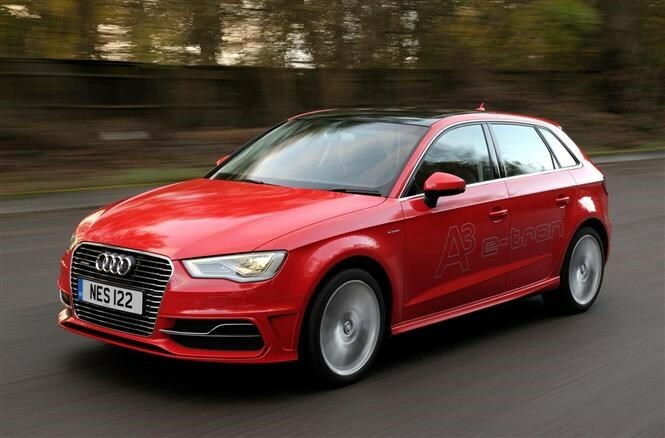 Although more expensive then other cars in this list, its low CO2 emissions and high fuel economy when fitted with the firm's ultra-frugal diesel engine mean the A3 Sportback offers very good value for money. We’ve picked the A3 Sportback in entry-level SE trim which we think comes generously equipped as standard with air-con, alloy wheels, cloth seat trim, cruise control, parking sensors and sat nav all included as standard. Despite the impressive fuel economy figures, the 108bhp engine can still accelerate the A3 from 0-62mph in just over 10 seconds too. 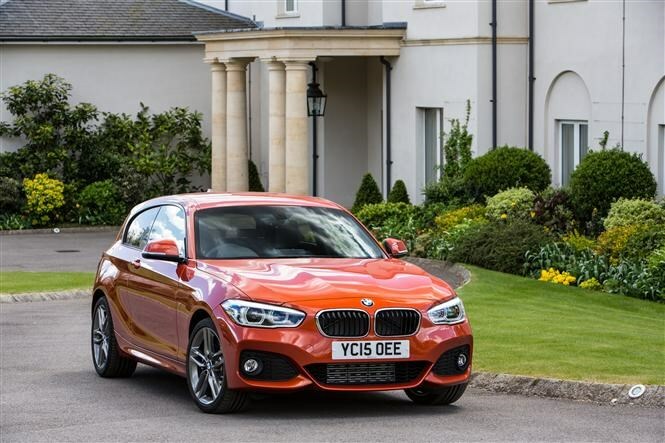 Following a facelift earlier in the year, the BMW 1 Series got a fresh new look, new kit as standard and a revised set of engines which brought with it improvements to running cost figures. Sat-nav is now available as standard across the range and in entry-level SE trim kit includes Bluetooth, 16-inch alloy wheels, automatic lights and wipers, DAB Radio and keyless start - no cruise control though. Literally a penny over budget, despite the low running costs, performance figures are pretty good too with its 1.5-litre three-cylinder engine generating 114bhp and 270Nm of torque, an increase of 10Nm compared to its predecessor. 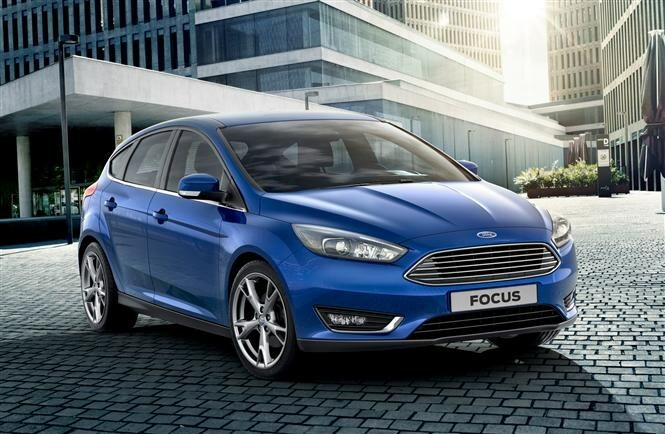 It wouldn’t be a top 10 list if there wasn’t a Ford Focus featured somewhere. It’s the best-selling company car here in the UK afterall and the consummate all-rounder. Following a facelift last year the latest model also features that head-turning grille and new kit as standard including the next-generation SYNC2 multimedia system. In terms of fuel economy, the diesel option here has an official fuel consumption figure of 83mpg and CO2 emissions of just 88g/km. Style trim sits one above base models so it's not as generously equipped as we'd like though, as standard you’ll get 16-inch steel wheels, a tyre pressure monitoring system, DAB radio, air-con, Bluetooth and a voice control function. 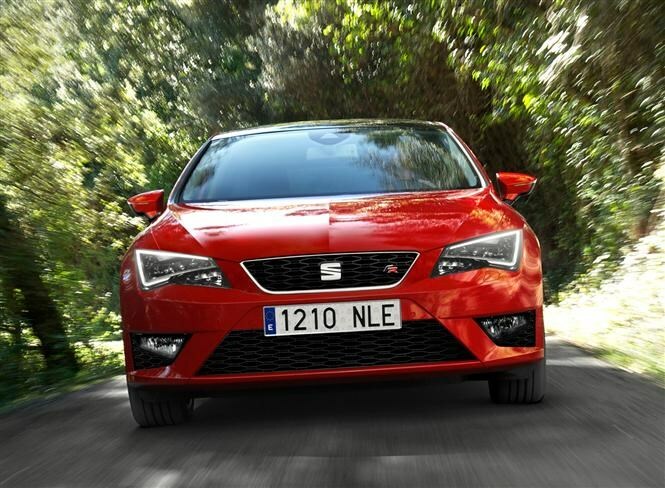 One of the most distinctive choices in our list here, the SEAT Leon is more than just a pretty face with some low running costs, practical features and a comfortable cabin. This 1.6-litre diesel EcoMotive engine offers the best in the range in terms of running costs and matches the A3 and 1 Series above when it comes to headlining figures. Where the Leon falls down it terms of its rivals is with kit with no DAB radio, parking sensors or sat-nav offered in SE trim. However if you pick the Technology pack (it’s standard for retail customers) from the options list, you’ll gain most of these features plus full LED lights and a voice recognition system. 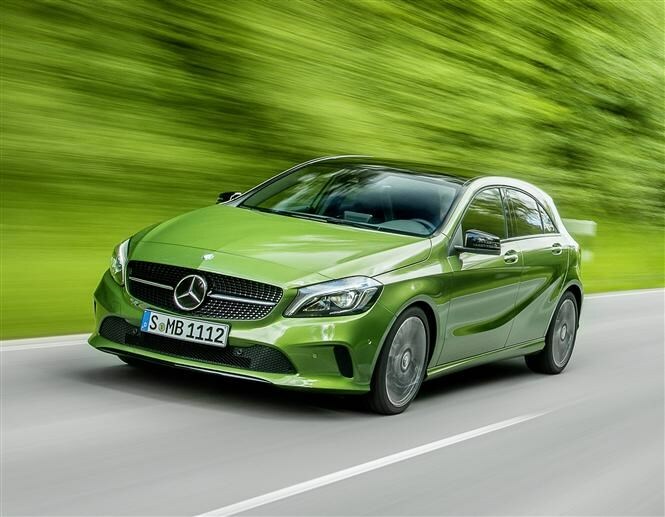 Mercedes-Benz has recently facelifted the smallest member of its family and although we’ve seen the revised A-Class in the flesh a couple of times now, some of the kit details and pricing information is still yet to be confirmed. Although design changes may be hard to spot, refinements to the engine range will be much more obvious. Crucial for company car drivers will be the 180 BlueEfficiency model which now boasts CO2 emissions of 89g/km down 3g/km over the previous version.The revised A180 BlueEfficiency model will also offer fuel economy as high as 80mpg. 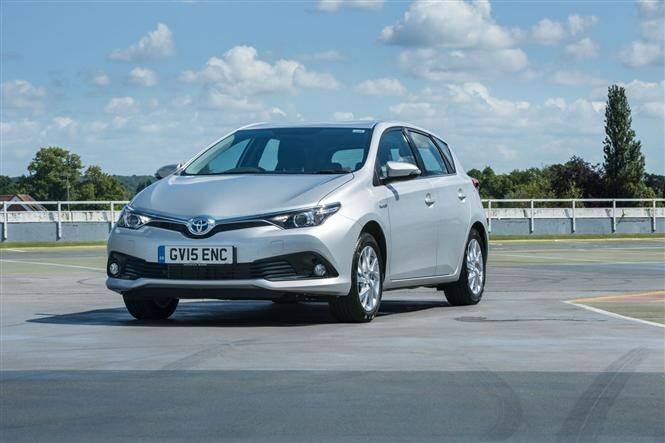 Offering one of the most diverse ranges in the segment, including a hybrid choice, the Toyota Auris is famed for its driver comfort and easy, stress-free driving. Now, thanks to a mid-life facelift, cabin luxury and standard kit is greatly improved. Engine tweaks in 2015 mean that the 1.4-litre diesel falls to 92g/km of CO2 with combined fuel economy up to 88mpg. With just 89bhp on offer and 205Nm of torque, it’s the slowest car in our list though climbing from 0-62mph in 12.5 seconds. A new Business Edition trim was also introduced this year which sits in the middle of the range and adds a variety of equipment ideal for company car drivers including Toyota's latest generation touchscreen system, sat-nav, heated front seats, reversing camera, 16-inh alloy wheels, Bluetooth and air-con making the Auris the best equipped in our list here. Did you know the most popular review for the Astra range is the Vauxhall Astra Hatchback review.